This map is a hand colored depiction of central France ( the vicinity of Paris ) by an A. Zatta. 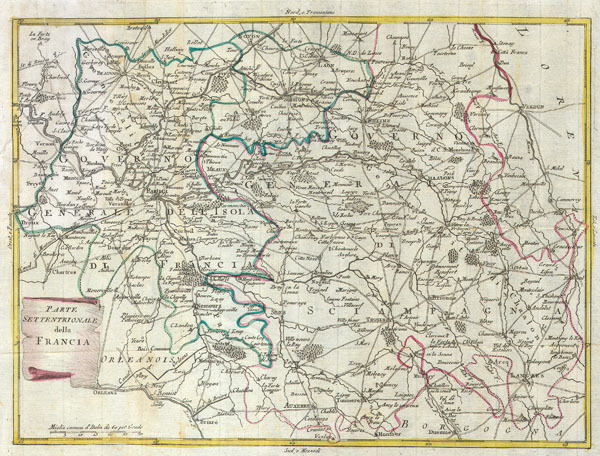 Map depicts France from Chartes in the West to Langres in the Southeast to Verdun in the Northeast. Paris is central. Map is beautifully rendered in the late 18th century style. Minor restoration to upper left, otherwise good condition.